Sue Whiting loves telling stories. A former primary school teacher with a special interest in literacy education and children’s literature, Sue now works as a children’s book editor. 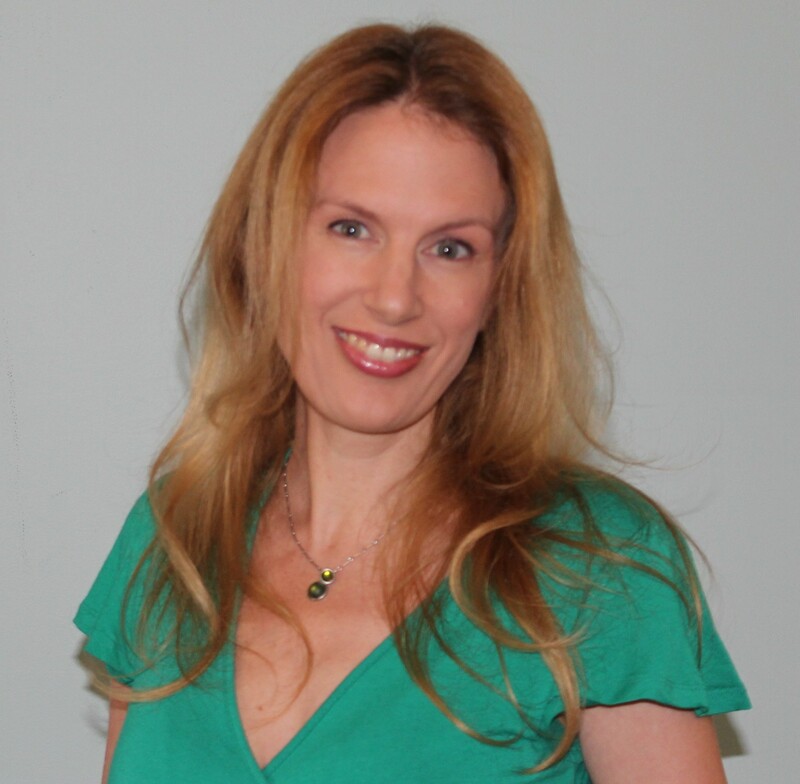 She is also an award-winning author who has written numerous books for children and young adults, including the best-selling The Firefighters, illustrated by Donna Rawlins. 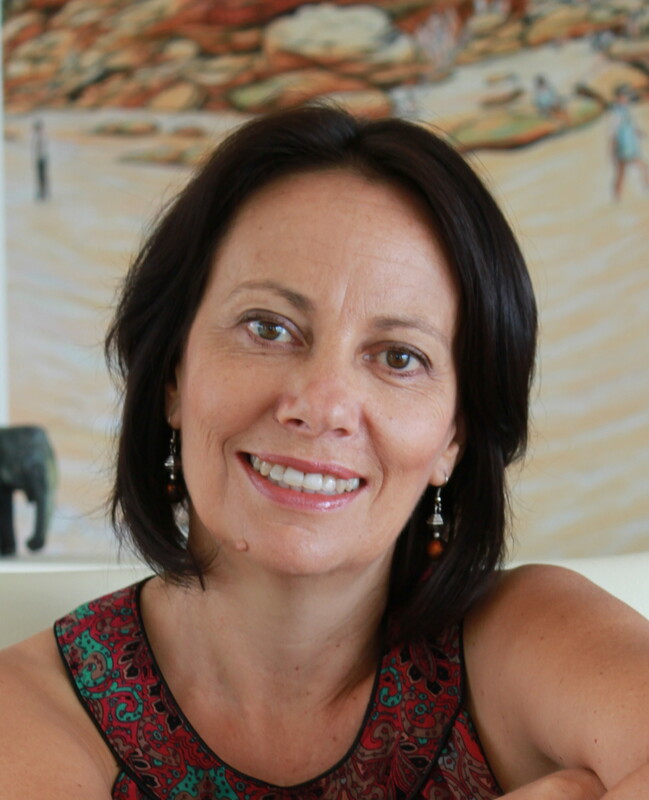 Sue writes in a variety of genres: fiction and nonfiction, picture books through to YA, and is published both in Australia and internationally. 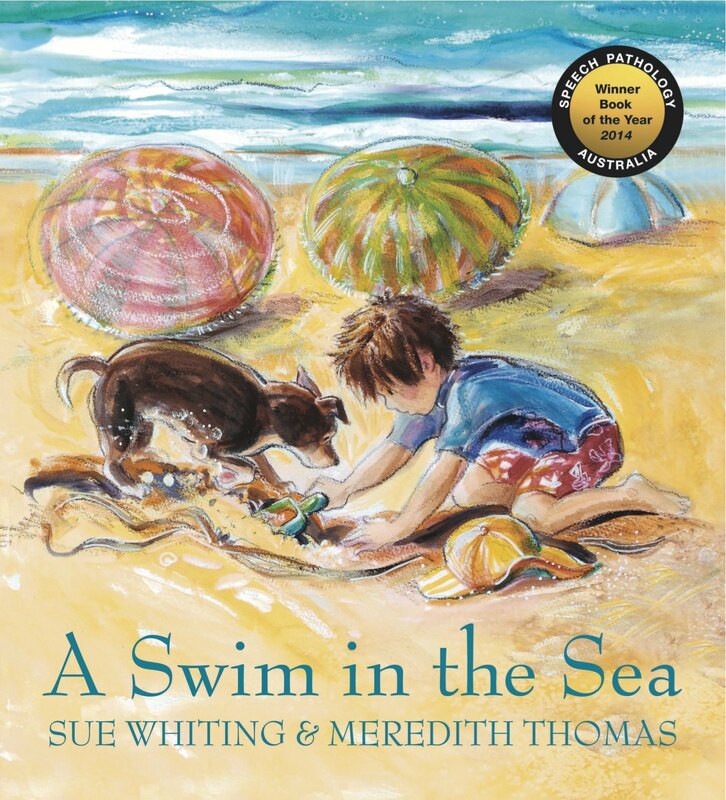 Her middle grade novel Get a Grip, Cooper Jones was a 2011 CBCA Notable Book, and her picture book, A Swim in the Sea, illustrated by Meredith Thomas, was the Speech Pathologists’ 2014 Book of the Year, 3–5 years category. Her latest book is Platypus illustrated by Mark Jackson. As far as writing goes, I was a late bloomer. Growing up, I had no interest in writing whatsoever. I loved reading and books but certainly not writing, and I didn’t think I had a creative bone in my body. That all changed in my late twenties when I had to write a children’s book as part of a university assignment. Writing that story lit a bewildering creative fire in my belly, which for the next ten years I tried to ignore. And it wasn’t until my late thirties that I was able to summon up the courage to give this writing caper a go. My first break was when I jokingly applied for a job as a contract writer for a children’s novelty book publisher – and to my surprise got the gig! The next couple of years provided a great “apprenticeship” of sorts as I learned about writing to a brief, working with editors, working to deadlines and so forth. Four years later my first trade children’s novel, Battle of the Rats, was published by Koala Books. 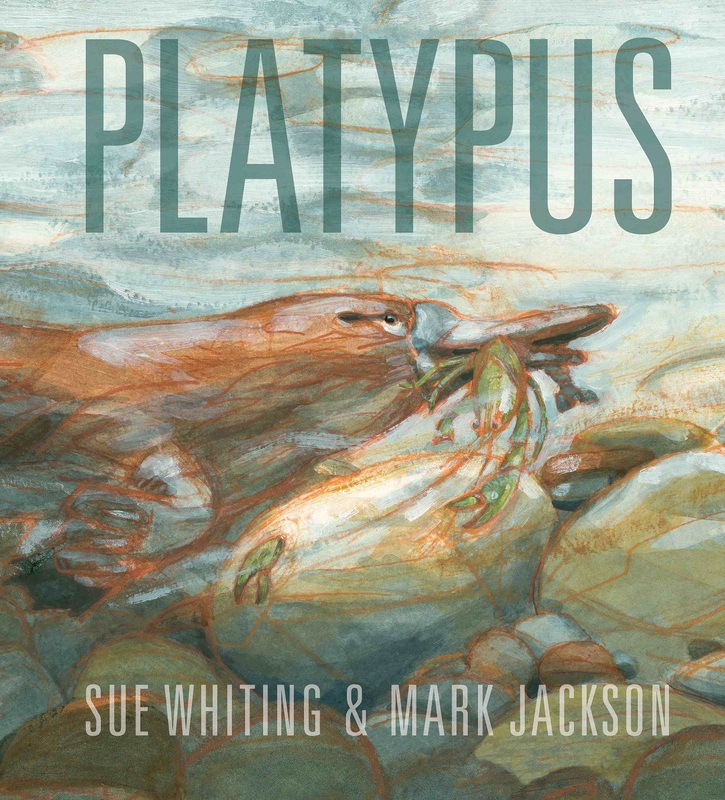 My latest book is a nonfiction picture book, Platypus, illustrated by Mark Jackson and published by Walker Books Australia as part of their Nature Storybook series. It has also just been published in the US by Candlewick Press. This book combines a lyrical, but realistic narrative about the escapades of a platypus during the course of one night with additional factual information about this intriguing Australian animal. It was enormously enjoyable to research and write – a welcome diversion from writing fiction. Mark Jackson’s painterly illustrations are delicious. I have a writing study at home, but sadly I don’t spend enough time in it. It has a desk and computer, of course, and many bookshelves. But my favourite thing is my homemade “drawing board” that my son used when he was studying Engineering. This is where I am most creative and I use it to brainstorm ideas and to free write on. I love it! As I have a full-time job as an editor, I don’t have a typical writing workday as such. I tend to squeeze my writing in and around a very full week. Much of my writing is done on my daily rail commute from the Illawarra to Sydney – in the morning between 7:30 and 8:30 (or until the train becomes too full and I become conscious of the people around me). I also try to dedicate a couple of solid hours over the weekend and on holidays. I am a big believer in writing daily, and when I have the energy to practise what I preach, I find I can be surprisingly productive during these snatches of time. 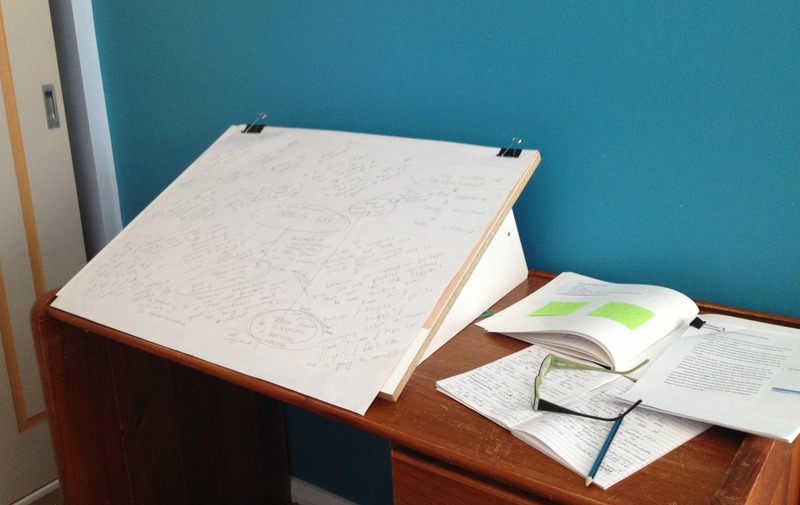 My writing process changes with every book I write – so part of my process is working out the right process for the particular project I am working on! I do spend a lot of time thinking about a story before I get started though. I seem to carry the idea around in my head for a year or more, scribbling down ideas and thoughts, small snippets of dialogue or whole scenes as they come to me. For my current work in progress – a middle grade novel set partially in Panama – I have had to do a lot of research and develop a way to record that research so I can access it easily. I have also done a lengthy outline of the entire plot. This is a first for me, as I usually tend to have a sketchy idea where the story is heading and set my characters free on the page and see where they take me. But because of the intricacies of the structure and plot in this current work, I felt like it needed a more solid plan – which of course I am already deviating from! Funnily enough, I have been thinking about this a lot lately. My life would be a lot simpler if I didn’t write. But I have come to realize that I am actually compelled to write and that if I don’t get the stories rattling around in my brain out of my head and onto paper, I am actually tormented by them. Simply, writing makes me happy and I love to tell stories. The world around me is a great source of inspiration, as too are beautiful well-crafted novels, poems and song lyrics. I also find inspiration in true stories of everyday people who face what Life throws at them with courage and dignity and grace – or with a heck of a lot of attitude. Like many in this modern world, I am time poor. And finding the time to write and the discipline to use the available time wisely is my biggest challenge. Also, as my day job is editing the work of other writers, it is often difficult for me to turn off my internal editor and allow myself to write freely. I often have a very noisy and cranky parrot on my shoulder reminding me how rubbish my work is, and it is certainly a challenge to silence him. That getting a story published no matter what isn’t necessarily the best way to forge a career. I wish I had been more patient and cautious. I have two novels that I want to get out of my head and onto paper. That’s my first goal. My “always” goal is to make sure that my next book is better than its predecessor. I see writing as a craft that one must always strive to develop. I aim to challenge myself, to take risks and to have the courage to write with absolute honesty. I also want to write books that will connect with my young readers, and help to foster a love of books and reading, so that they too may become lifelong readers. Industry wise, I truly hope in the coming years we will see the resurgence of the independent bookshop and the hand-selling of those important midlist works. So many! I have just finished reading The Eye of the Sheep by Sofie Laguna – and I am in awe of her skill and heart. Similarly, I recently devoured Hannah Kent’s Burial Rites. I also enjoy Kate Forsythe, Pamela Freeman, Kate Grenfell, Geraldine Brookes, Kate Morton and Elizabeth Gilbert. 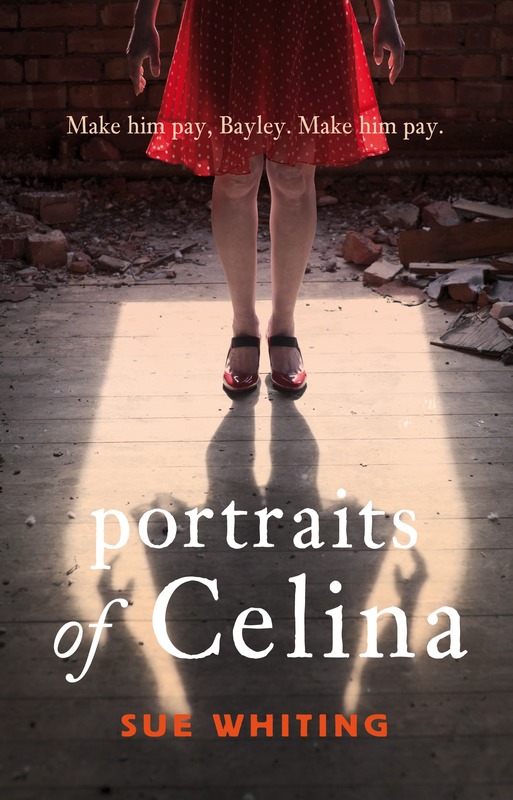 In the world of children’s and YA books I greatly admire the work of Meg McKinlay, Anna Branford, Ursula Duborsasky, Glenda Millard, Margaret Wild, Sally Murphy, Claire Saxby, Claire Zorn and Fiona Wood – and many, many more! “And finding the time to write and the discipline to use the available time wisely is my biggest challenge.” My words exactly, Sue. Great interview – interesting and informative. I love this: “getting a story published no matter what isn’t necessarily the best way to forge a career. I wish I had been more patient and cautious” Yes!